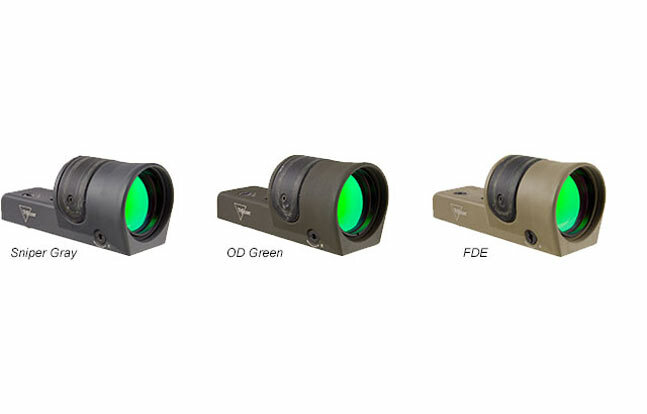 Evolving tactics call for evolving optics. 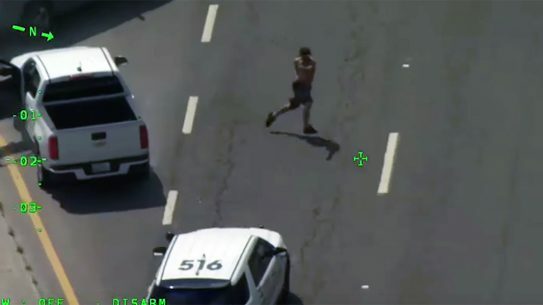 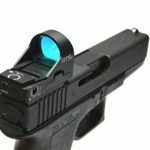 In 2014, a plethora of advanced optics – ranging from thermal cameras to laser-based holographic weapon sights – have hit the market. 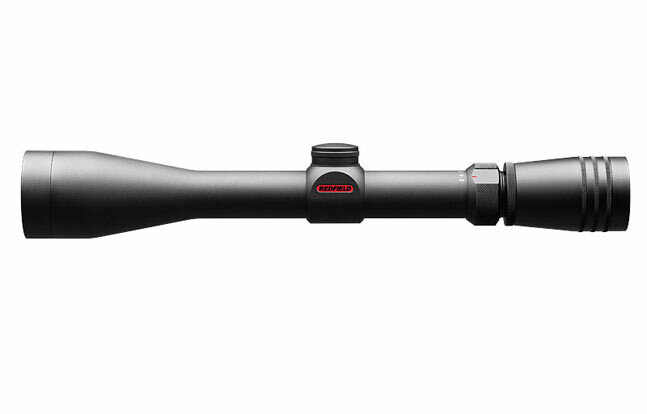 And better optics don’t necessarily mean increased prices, like the Nightforce 4-14 x 56 SHV Riflescope with an MSRP south of $1,000. 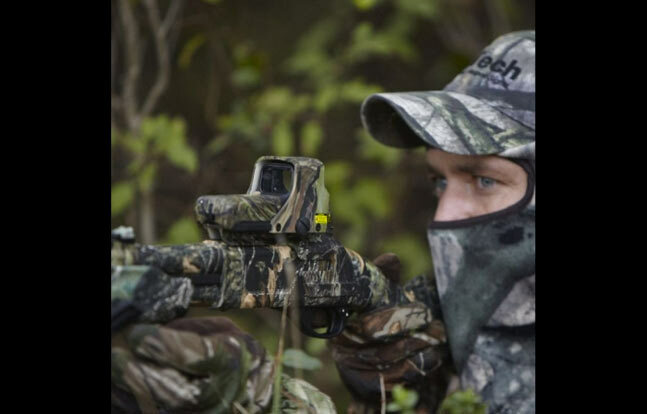 The best shooters in the world require the best equipment. 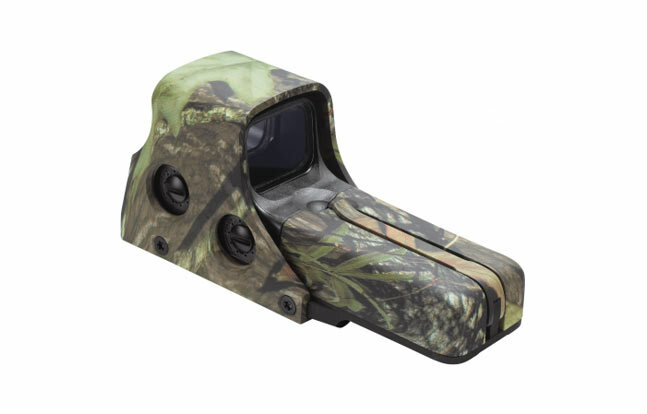 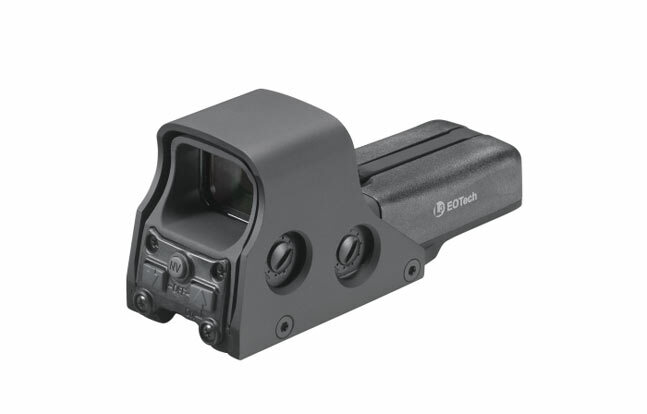 The gallery above brings you the top optics from manufacturers like EOTech, Redfield and Di Optical. 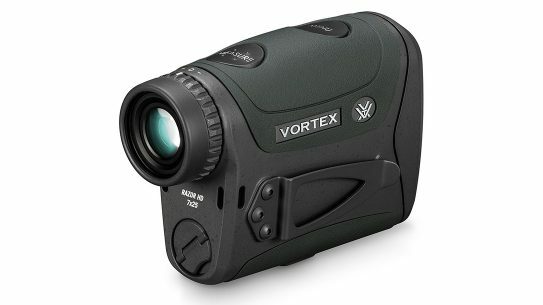 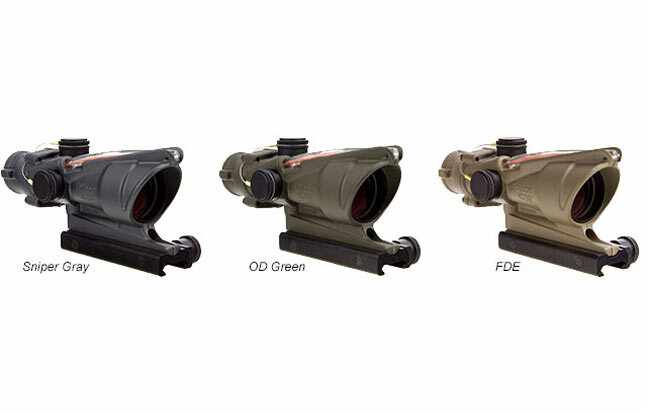 Continue reading to see our list of world-class, cost-effective optics for 2014. 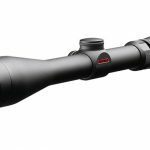 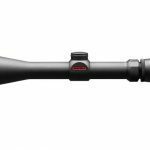 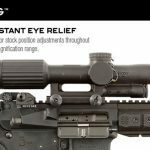 Sightron S-TAC Series S-TAC 1-7×24 IRMH: Sightron Riflescopes introduces its new S-TAC series of tactical riflescopes for 2014. 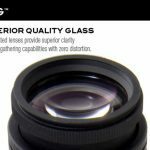 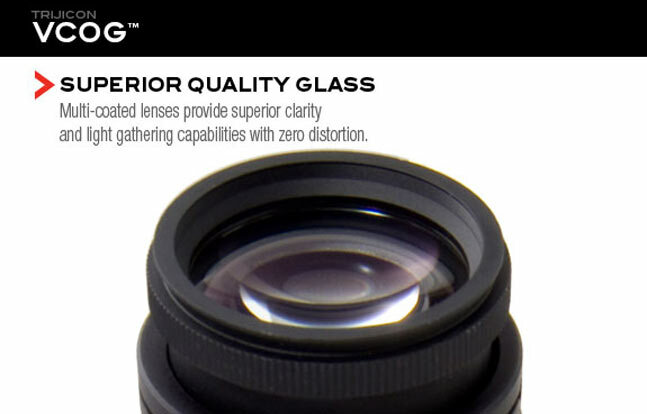 The S-TAC improves upon the SIII series with knurled magnification rings, the use of rheostat, and aspherical glass for better image quality. 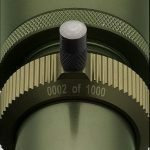 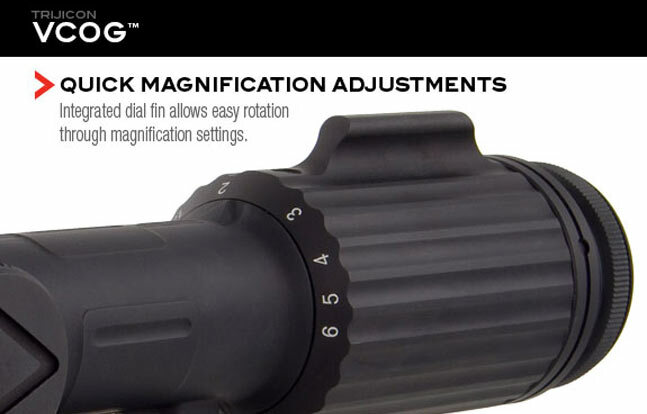 The North Carolina-based optics company says its 1x magnification has a tolerance of 1.02-.970 for a true 1x optic demanded by competitive shooters and tactical users. 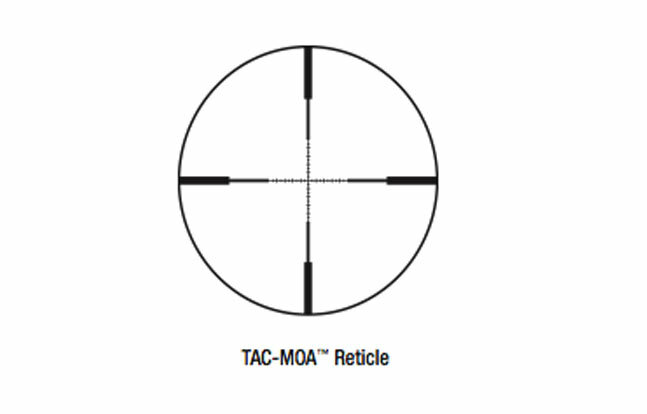 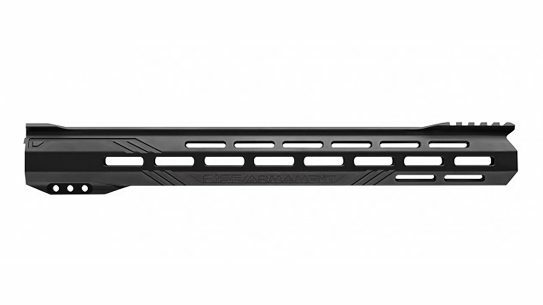 S-TAC uses MRAD adjustments in .1 MRAD increments. 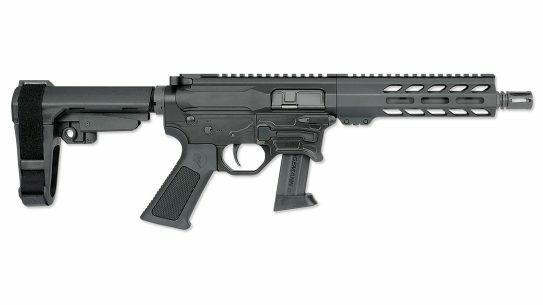 MSRP: $1104.98. 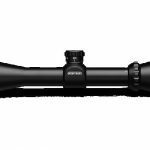 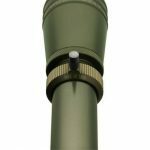 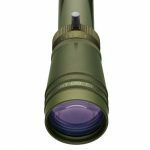 Sightron S-TAC Series S-TAC 2.5-17×56 IRMH: Sightron Riflescopes introduces its new S-TAC series of tactical riflescopes for 2014. 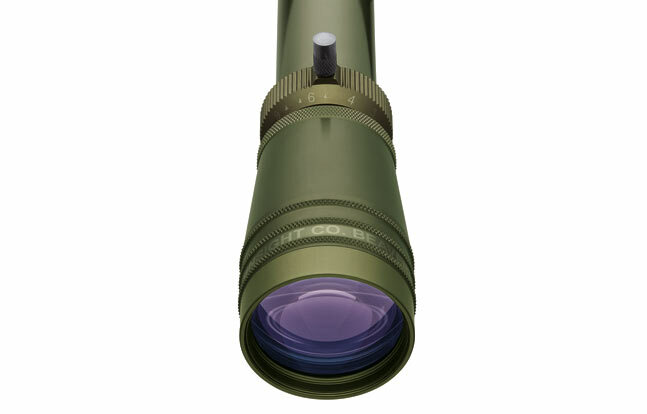 The S-TAC improves upon the SIII series with knurled magnification rings, the use of rheostat, and aspherical glass for better image quality. 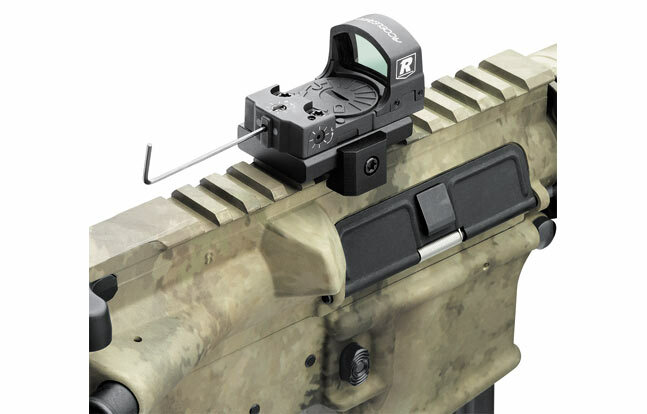 The North Carolina-based optics company uses Exposed Large Tactical Style Turrets that are offered in 0.1 MRAD adjustments, and a Torx 20 set screw positioned on top of the turret demanded by competitive shooters and tactical users. 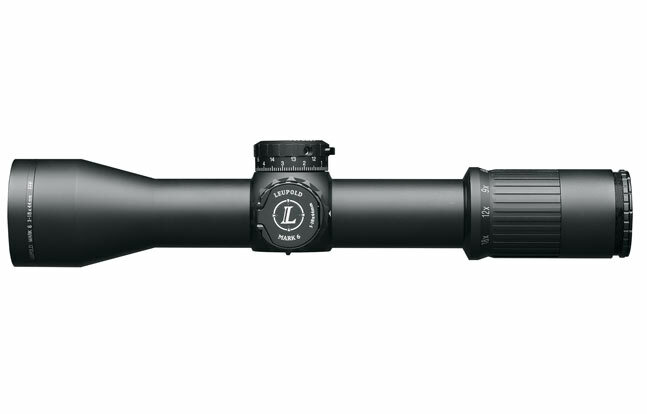 MSRP: $1195.98. 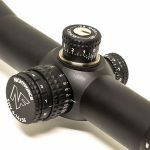 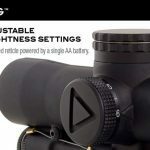 Trijicon VCOG 1-6x24mm Riflescope: Trijicon, a company well-known in the military and law enforcement realm, added another riflescope with the addition of the VCOG (Variable Combat Optical Gunsight) 1-6×24 mm riflescope. 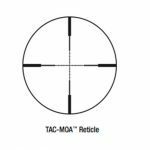 The optic, designed from the beginning for real-world operations, is waterproof to 66 feet and will come with seven different reticle choices, in the first focal plane, which enables the ballistic reticle to be used at any magnification. 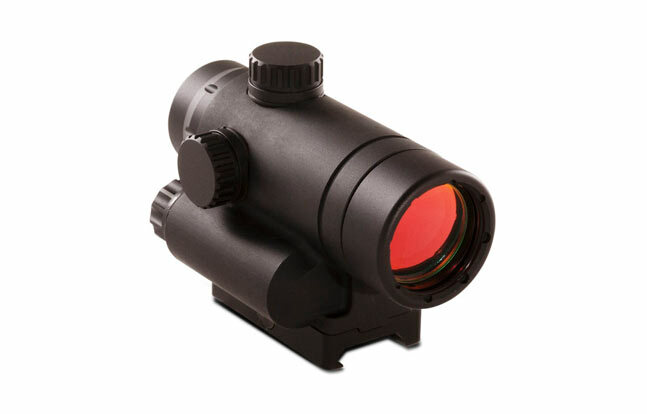 The VCOG’s reticle is illuminated in red and runs off of everyday AA sized batteries. 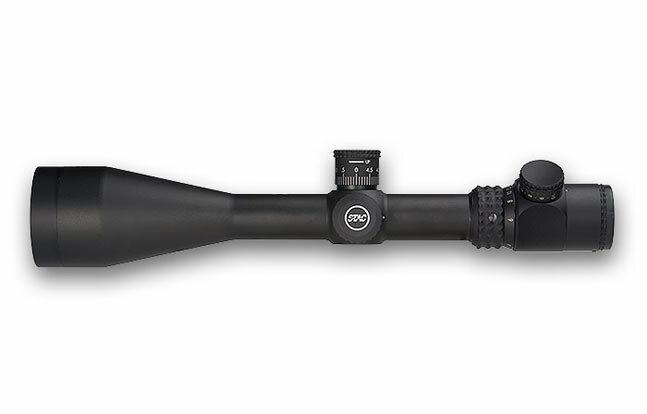 MSRP: $2,270.00. 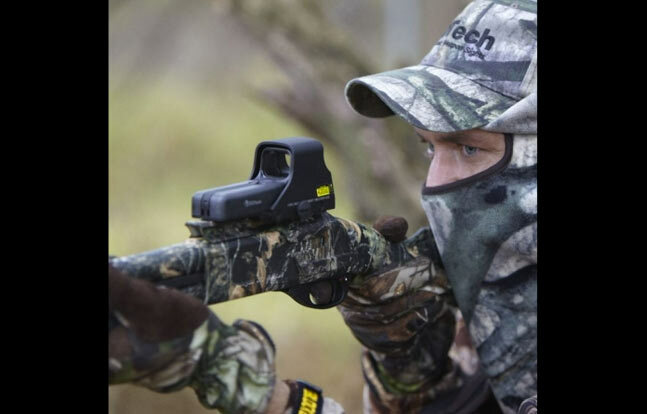 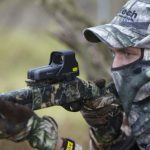 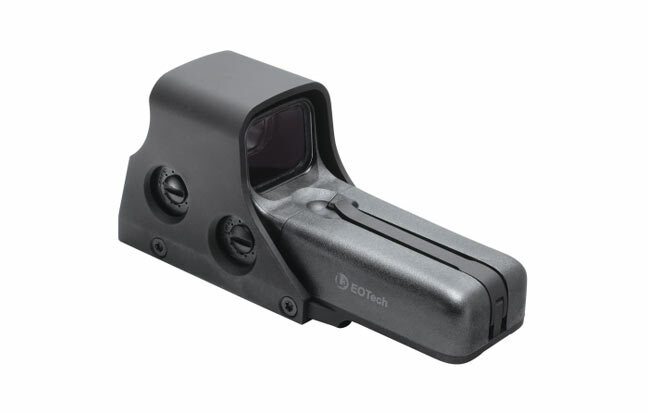 EOTech LBC: Think lasers make your commercial optics better? 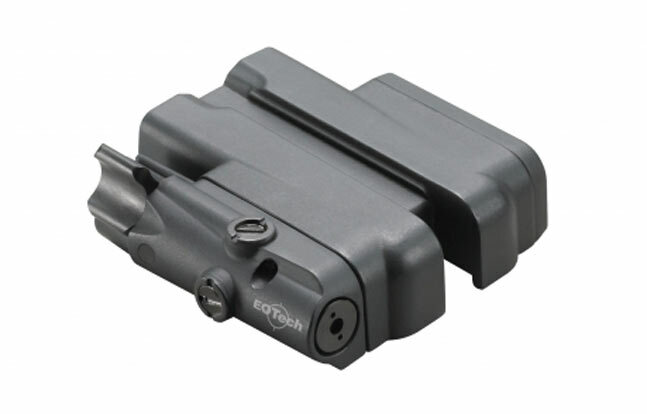 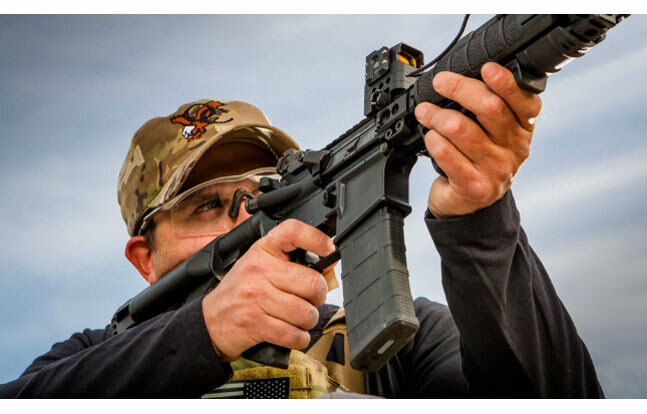 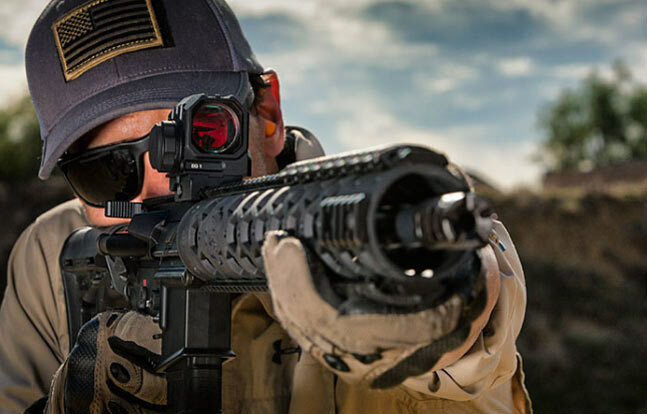 EOTech agrees and the Michigan-based optics company has added a Laser Battery Cap (LBC) accessory, which can be added to their 512/552 Holographic Weapon Sight. 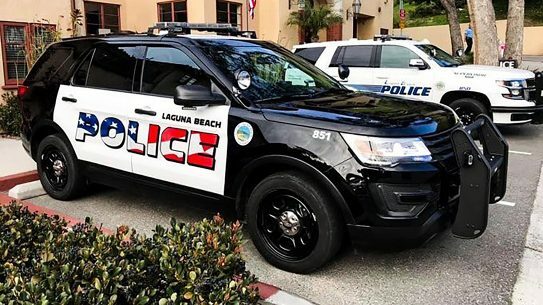 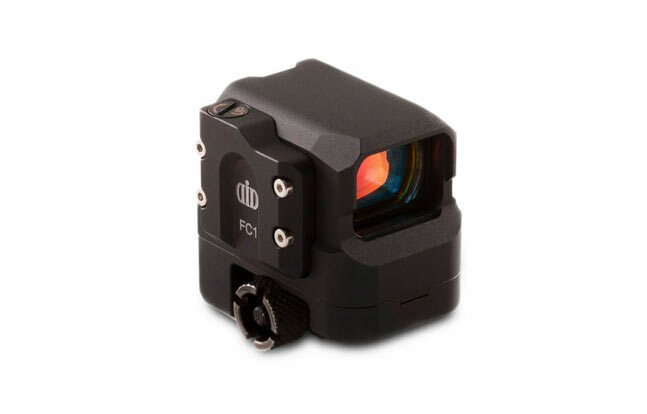 Installed, the LBC emits a low power red visible laser, which is useful across a variety of tactical and home defense scenarios. 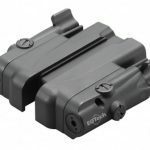 The battery packs run off of buy-anywhere lithium AA batteries and are waterproof in up to ten feet of water for one hour. 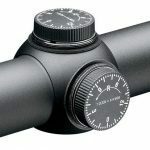 MSRP: $285.00. 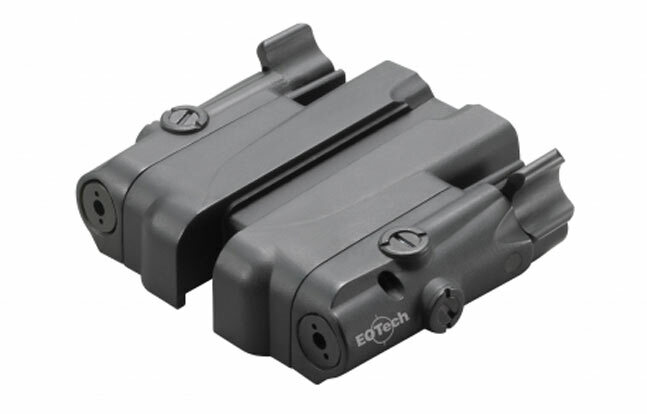 EOTech 512/552 LBC2: EOTech improves their LBC platform by giving commercial customers IR capabilities for true day-night operability in their new Laser Battery Cap TWO (LBC2) to the 512/552 Holographic Weapon Sight. 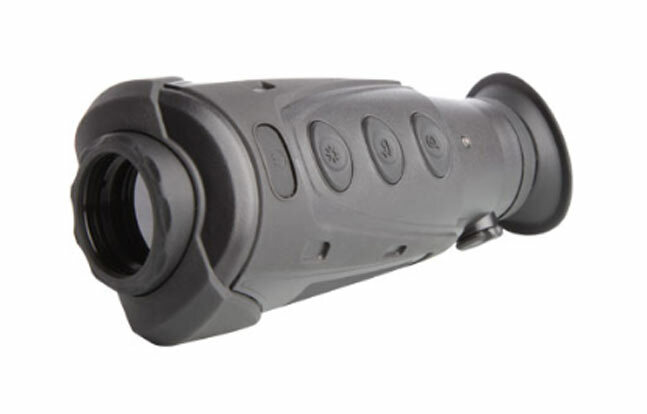 The LBC2 emits a low power red visible and an IR laser, which is useful across a variety of tactical and home defense scenarios. 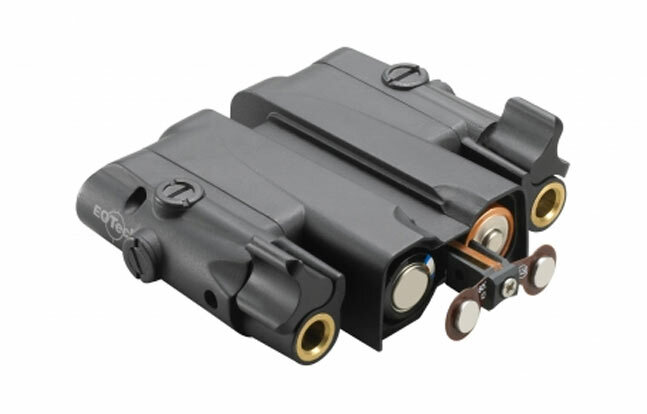 The battery packs run off of buy-anywhere lithium AA batteries and are waterproof in up to ten feet of water for one hour. 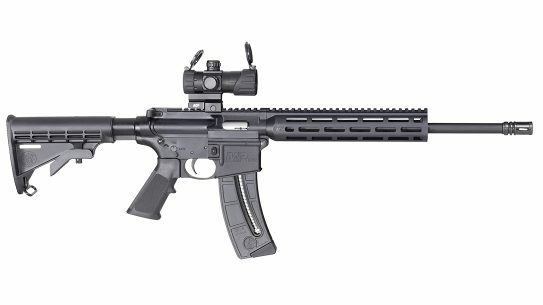 MSRP: $429.00. 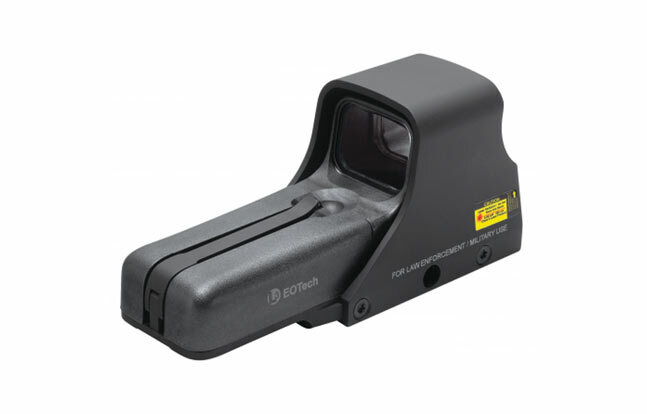 EOTech 512.LBC: Customers looking for a high-quality holographic weapon sight with an integral laser can now consider EOTech. 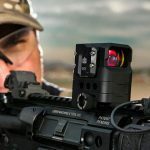 The Michigan-based optics company has added a Laser Battery Cap (LBC) to the 512 Holographic Weapon Sight. 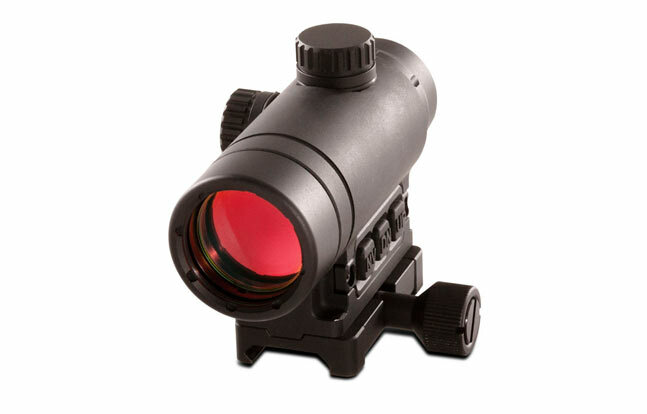 The LBC emits a low power red visible laser which is useful across a variety of tactical and home defense scenarios. 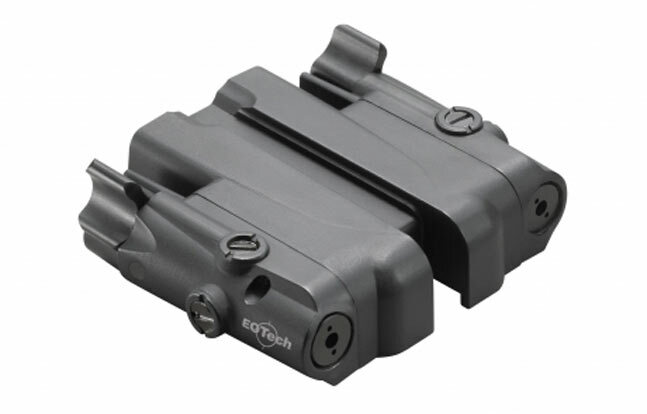 The battery packs run off of buy-anywhere lithium AA batteries and are waterproof in up to ten feet of water for one hour. 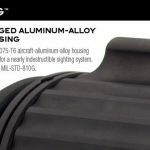 MSRP: $729.00. 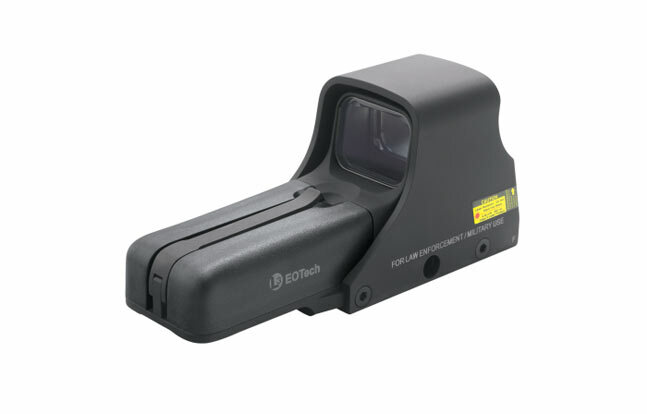 EOTech 552.LBC: Customers looking for a high-quality holographic weapon sight with an integral laser can now consider EOTech. 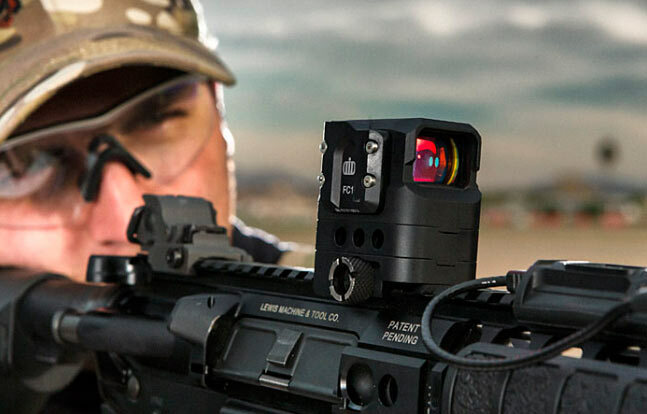 The Michigan-based optics company has added a Laser Battery Cap (LBC) to the 552 NV Holographic Weapon Sight. 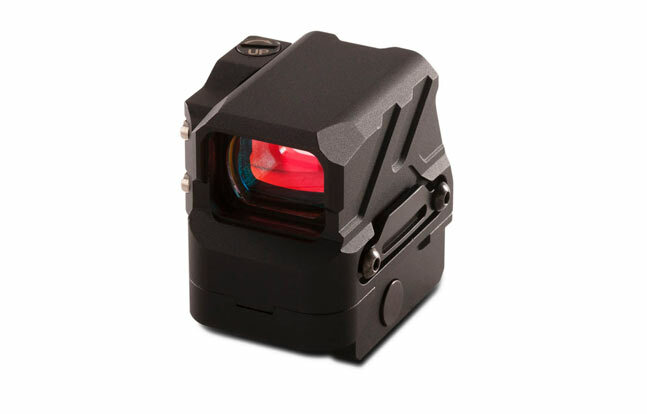 The LBC emits a low power red visible laser which is useful across a variety of tactical and home defense scenarios. 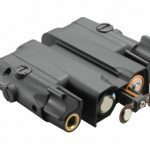 The battery packs run off of buy-anywhere lithium AA batteries and are waterproof in up to ten feet of water for one hour. 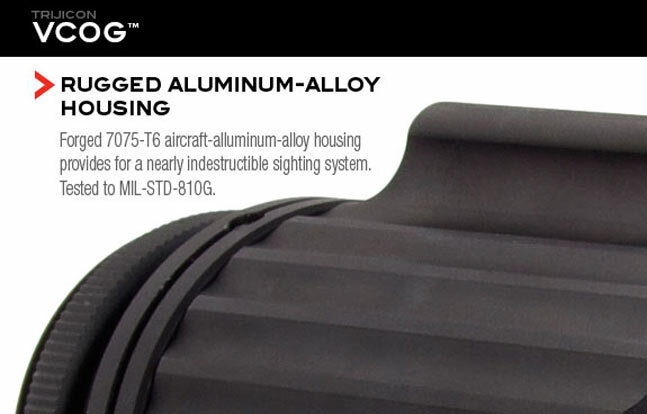 MSRP: $979.00. 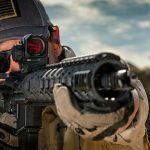 Trijicon Cerakote Finish: Trijicon has joined the Cerakote craze by offering its customers the ceramic based finish on select ACOG, Reflex and RMR models. 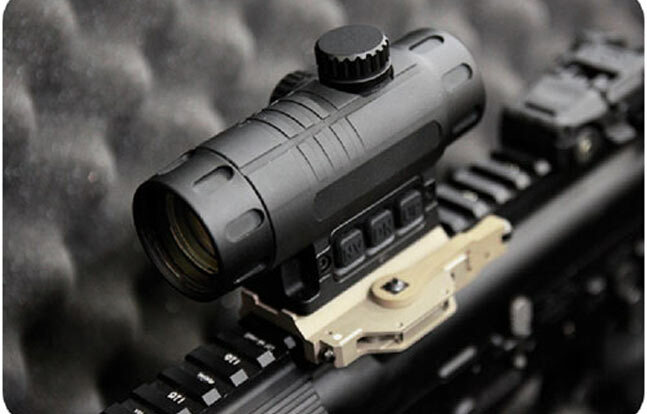 The Cerakote finished optics will allow Trijicon owners to match their optic finish to their firearm, or simply own an optic with the more durable finish. 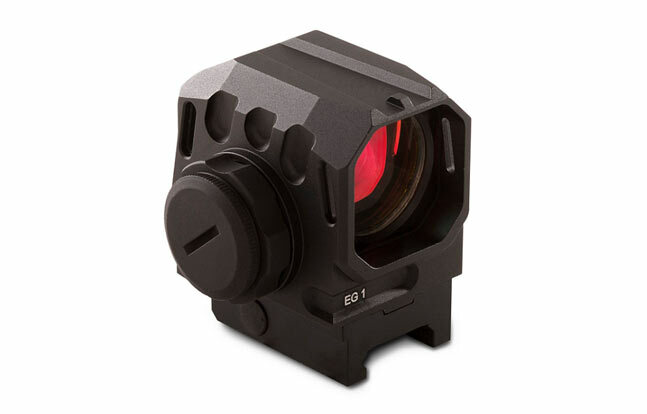 Any Trijicon optic with Cerakote maintains the same optical performance and usability of non-Cerakote finished optics. 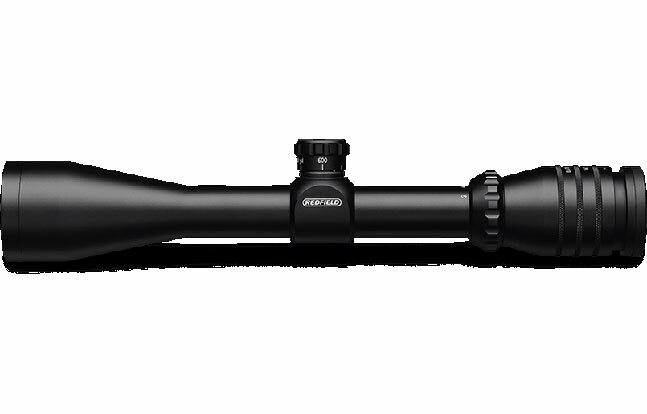 Nightforce 4-14 x 56 SHV: If you ever wanted a Nightforce riflescope but thought they were just out of your financial reach, it might be time to whip out your wallet. 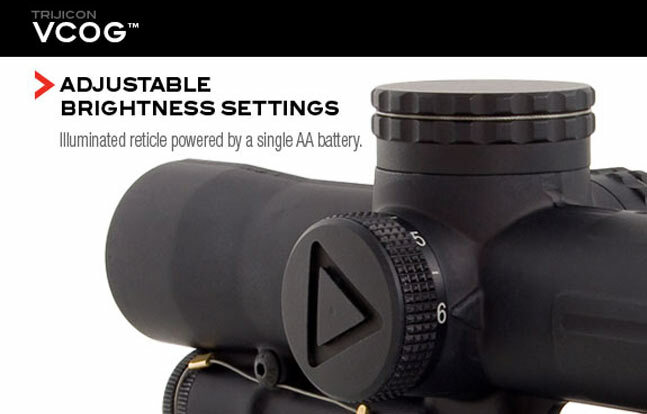 The engineers at Nightforce now have a honest-to-goodness Nightforce riflescope that’s MSRP is just south of $1000. 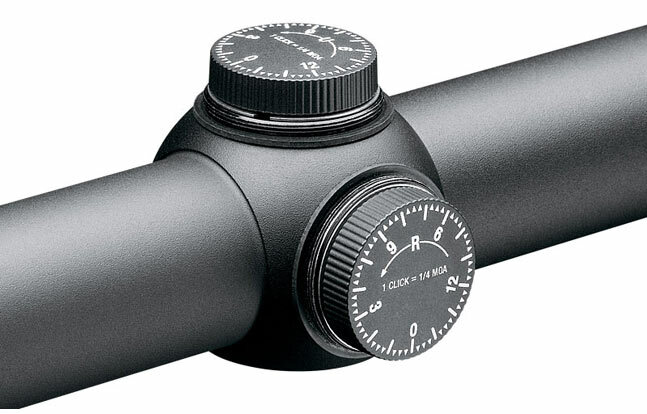 The 4-14x56mm second focal plane riflescope offers ¼” MOA adjustments and a 30mm tube and its MOAR (center illumination), IHR reticle. 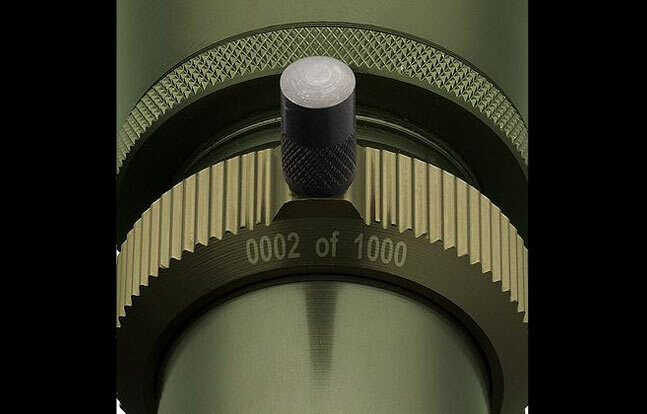 Internal Adjustment Range: 100MOA elev. 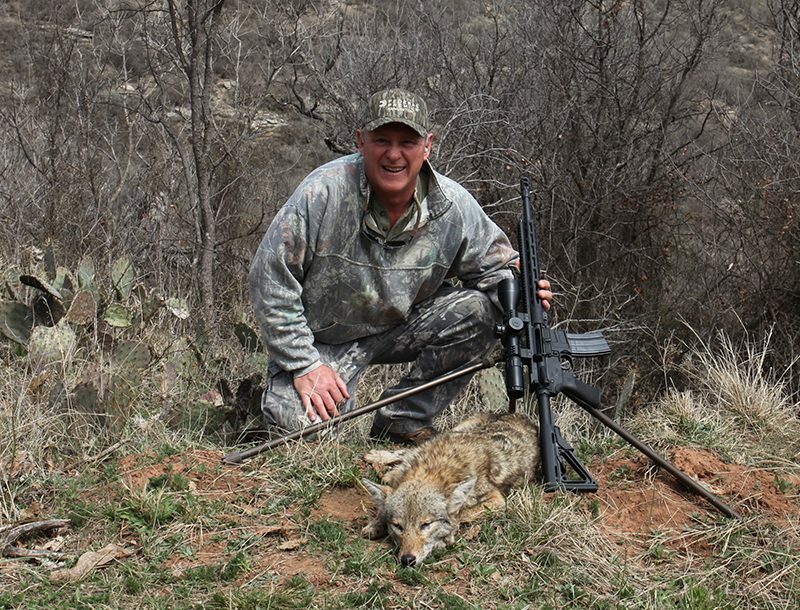 70MOA wind., 27.3Mil elev. 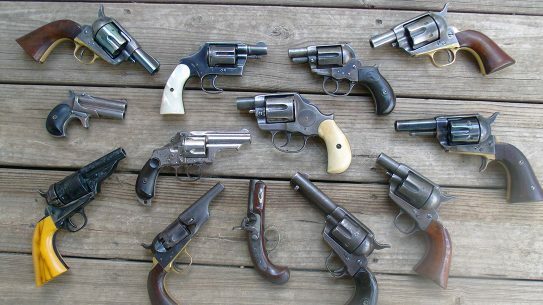 19.1Mil wind. 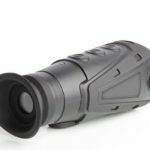 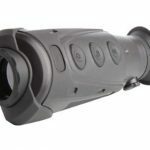 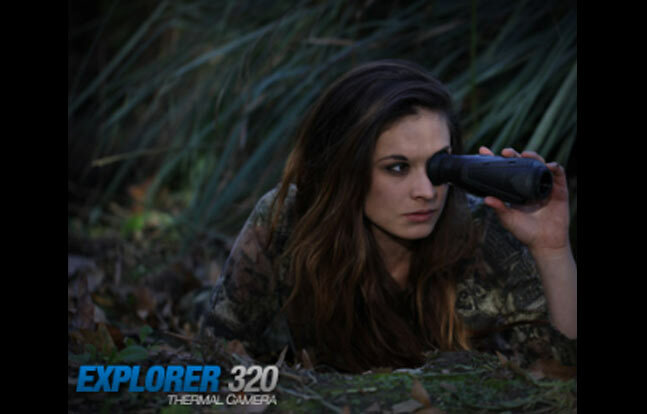 Night Optics Explorer 320 Thermal Camera: Night Optics has introduced a single hand-sized thermal camera called the Explorer 320. 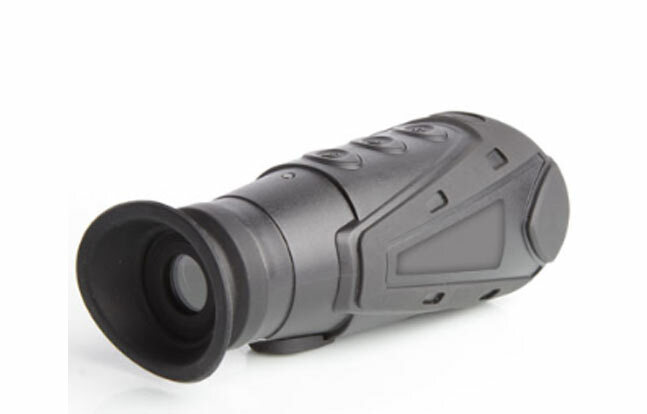 The pint-sized thermal imager offers a high definition display, USB charging, a familiar 50/60 Hz real time refresh rate, and is water and shock resistant. 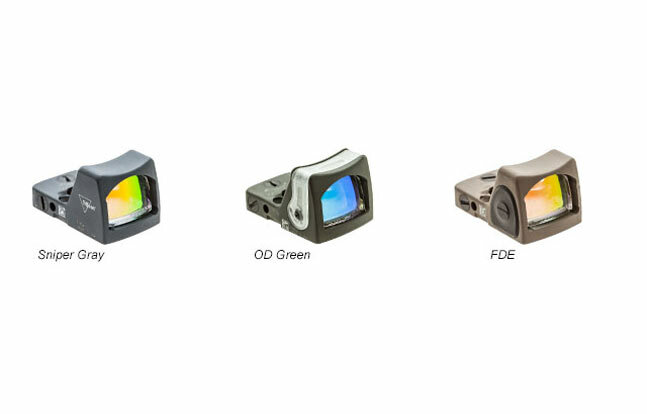 The very portable, high performing heat sensing optic allows a variety of customers with the need to visualize thermal signatures a product now. 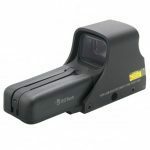 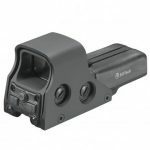 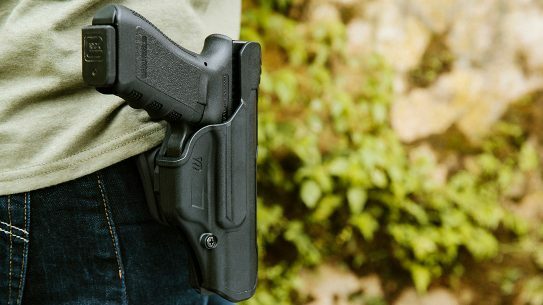 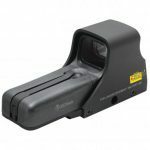 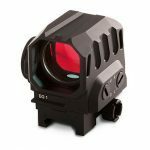 Redfield Accelerator Reflex Sight: Redfield has entered the reflex sight market with their cost-effective Accelerator Reflex Sight. 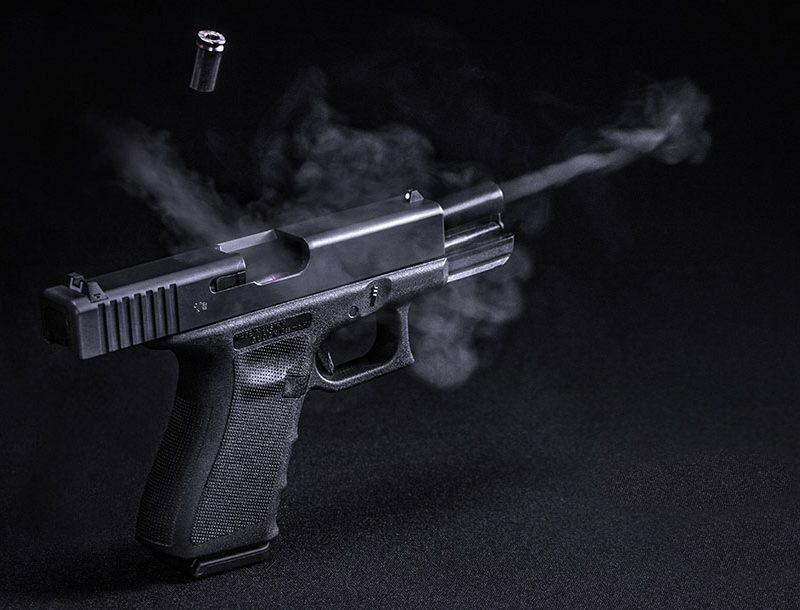 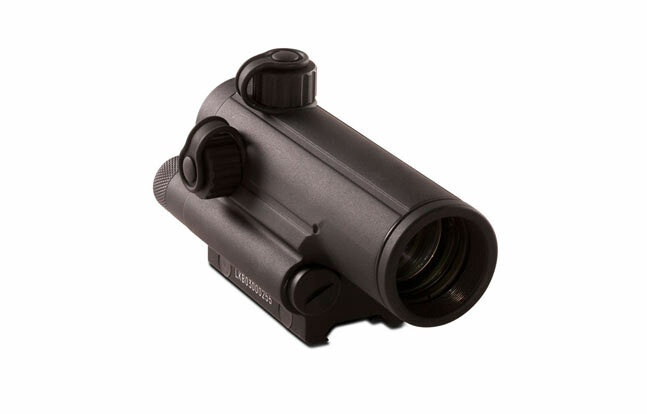 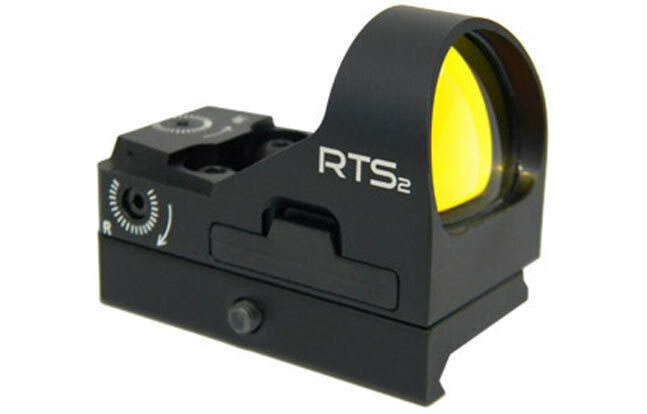 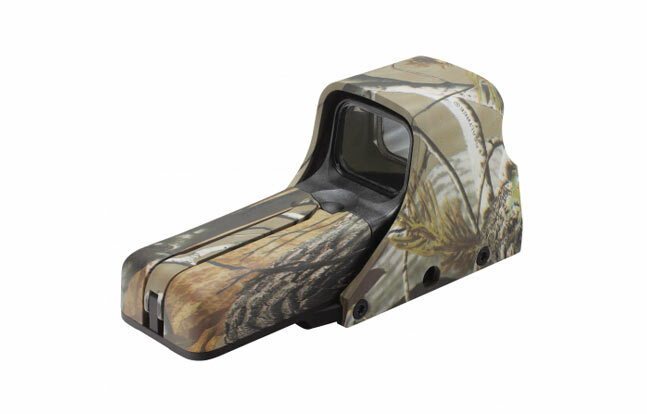 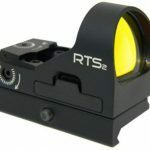 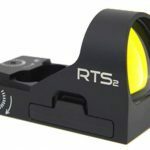 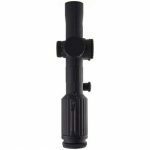 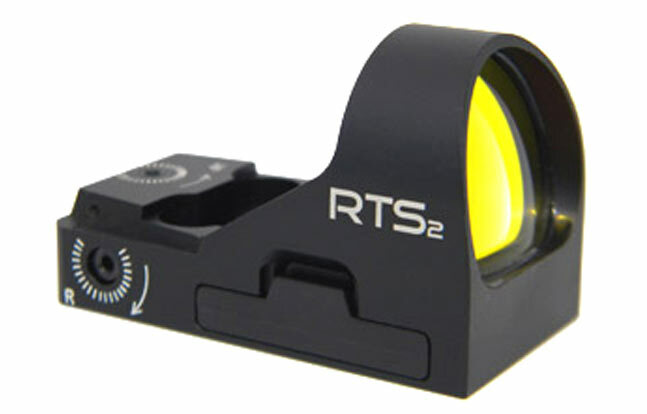 The sight works in any reflex-sight situation for handguns, rifles and shotguns alike. 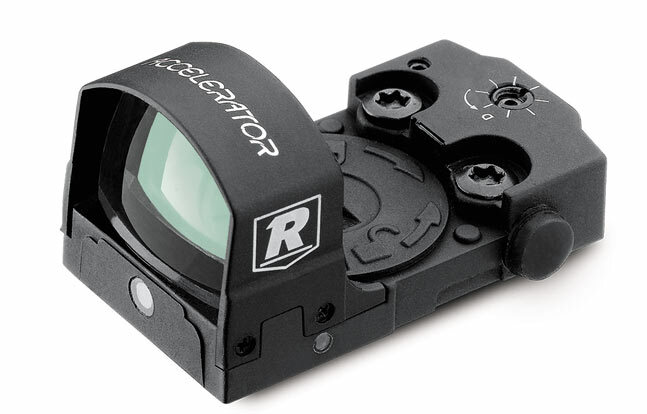 It allows shooters who want a quality optic to have a multi-use sight without breaking the bank. 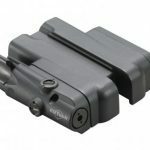 The Accelerator is durable, well designed and adjustable to 80 MOA and is compatible with Picatinny or Weaver-style rails or mounts. 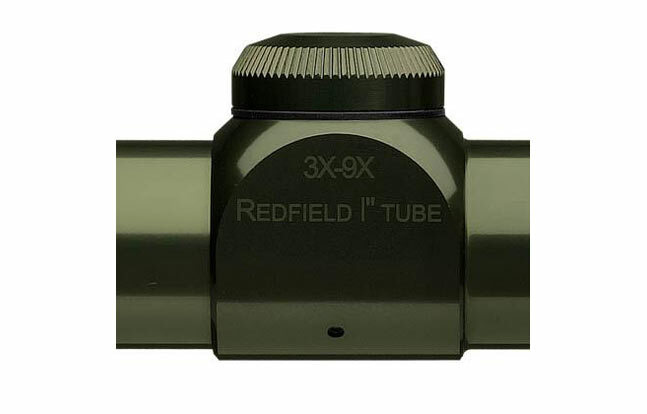 Redfield Revolution/TAC 3-9x40mm Riflescope: Redfield’s Revenge line of riflescopes has gone tactical with Redfield introducing a TAC series riflescope complete with their Rapid Target Acquisition lockable eyepiece and a TAC-MOA reticle built with stadia lines on the horizontal and vertical crosshairs set at two minute of angle (MOA) increments to allow shooters a quick and consistent way to range targets. 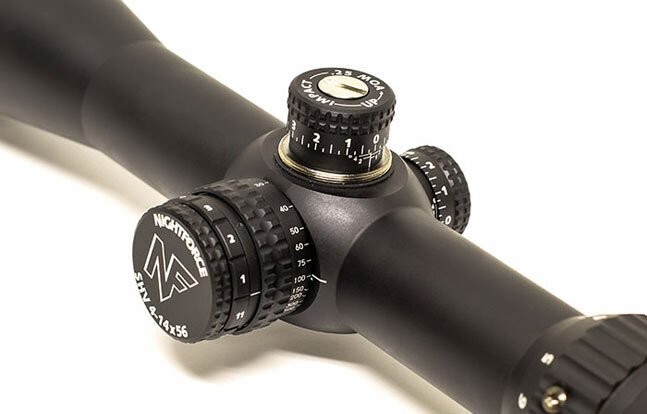 The riflescope is adjustable in 1/4 MOA increments. 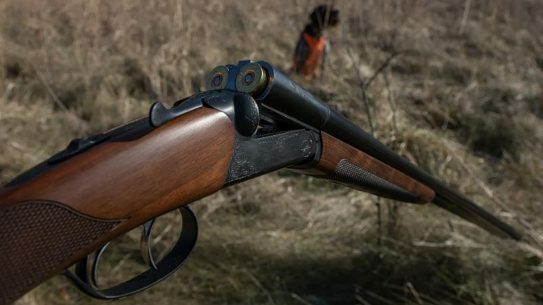 MSRP: $349. 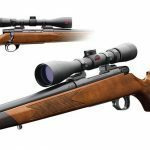 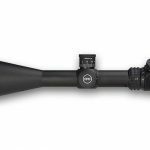 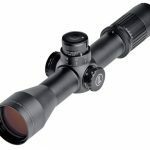 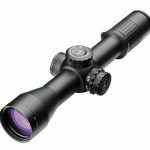 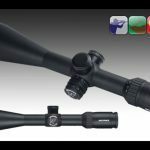 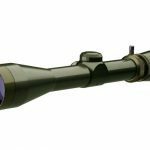 Redfield Battlezone 6-18x44mm Riflescope: Redfield adds some magnification horsepower to its popular line of AR-style riflescopes with the 6-18×44 Battlezone riflescope. 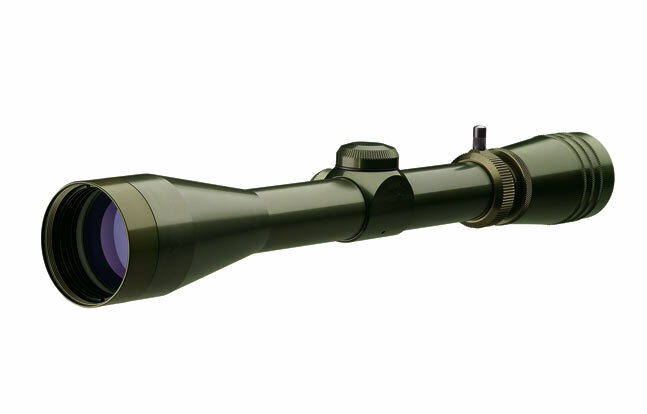 The Battlezone 6-18x44mm rifle has a Bullet Drop Compensation System (BDC) and useful TAC-MOA reticle. 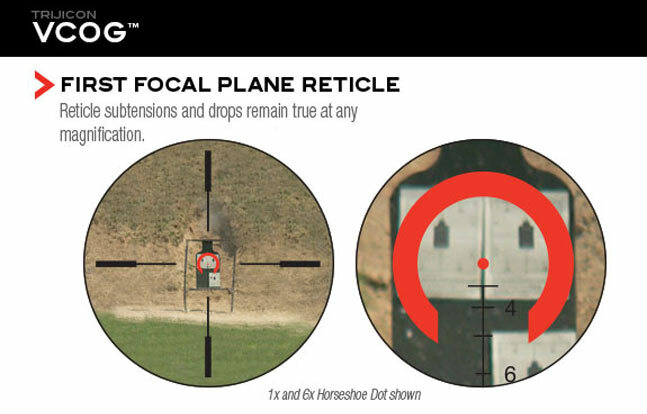 Redfield made being accurate just a little bit easier for Battlezone users who fire .223/5.56 NATO and .308/7.62 NATO calibers because their BDC system comes with two dials, one is calibrated for the .223/5.56mm NATO 55gr bullets at 3,100 fps, and the other is calibrated for 168gr .308/7.62mm NATO bullets at 2,650 fps. 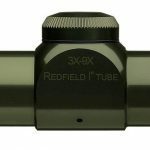 Redfield Limited Edition USMC M40 Riflescope: During Vietnam Marine sniper rifles used Redfield optics. 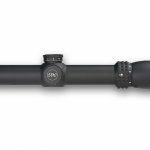 Now, Redfield is offering a limited production run of 1,000 U.S. Marine Corps M40 edition riflescopes through SWFA Outdoors. 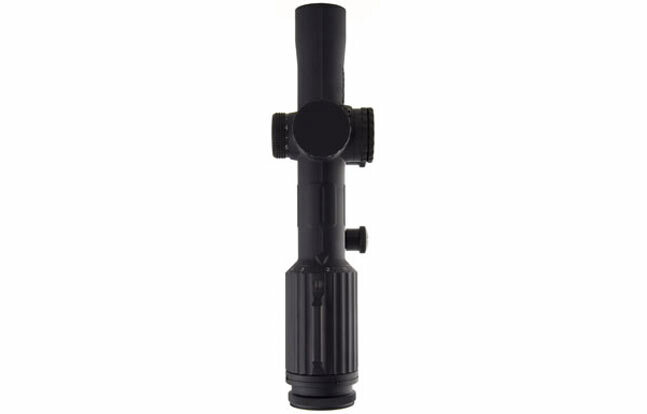 The riflescopes are OD green, 3-9x40mm riflescopes with Mil Dot reticle, a tactile post on the power selector, and meant to resemble the original USMC M40 riflescopes used in the Vietnam War. 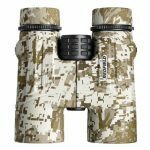 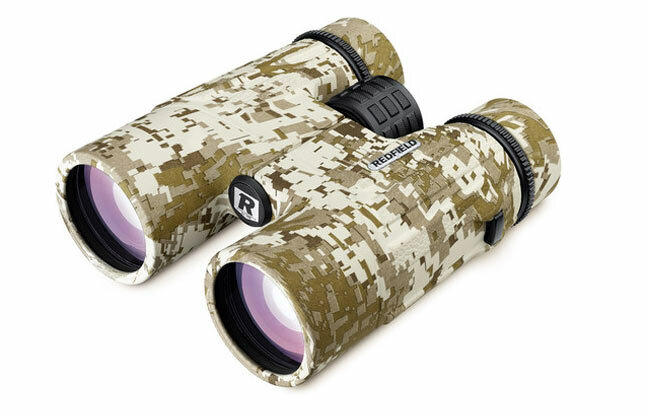 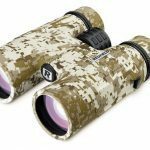 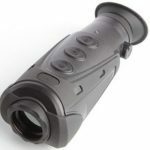 Redfield Battlefield 10x42mm Roof Prism Binoculars: Tactical shooters like optics built for their high precision needs and binoculars are no exception. 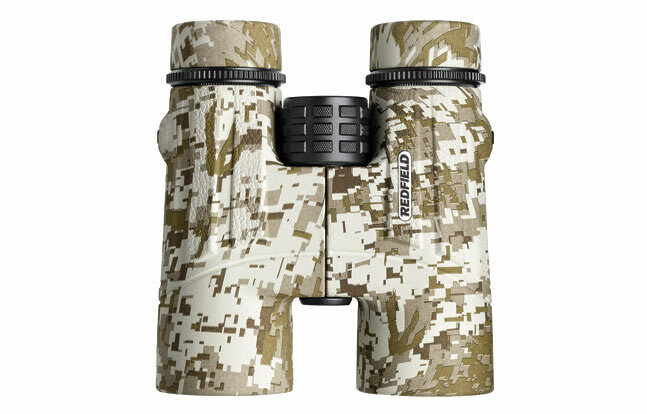 Redfield introduced its Battlefield 10x42mm tactical binoculars as a way to give these shooters just the kind of glass they’re looking for. 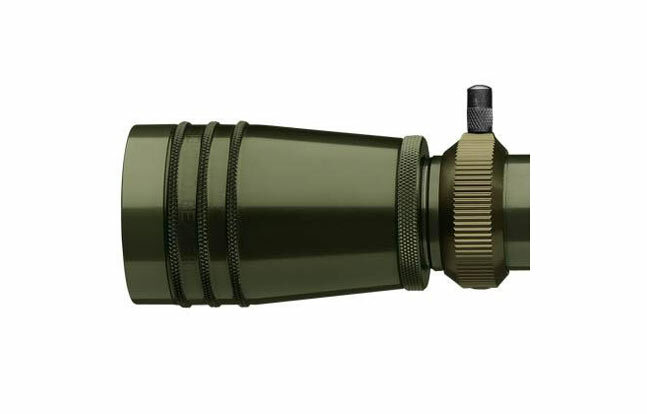 Just like their Battlezone riflescope brothers, the Battlezone Binoculars feature a TAC-MOA reticle, which means it has stadia lines on the vertical and horizontal crosshairs, set in two minute of angle increments to aid in ranging. 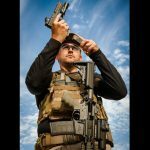 The Battlefield comes in a Desert Digital finish, tripod adaptable mount, a MOLLE case, neoprene neck strap and lens covers. 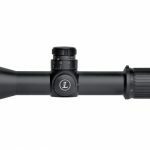 Leupold Mark 6 3-18×44 M5B2: There’s less to talk about when it comes to Leupold’s 2014 Mark 6 3-18x44mm M5B2 tactical riflescope, and tactical shooters should be pleased. 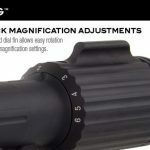 The Oregon-based company managed to shave 20 percent of the riflescopes weight and 20 percent of the riflescopes size while still maintaining its legendary world-class optical quality and precision repeatability. 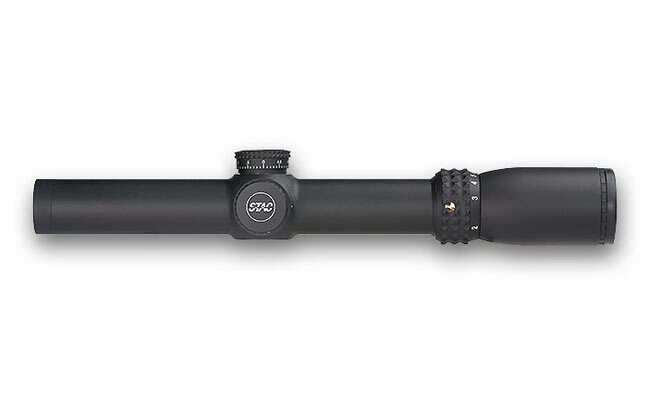 MSRP ranges between $2749.99 to $5624.99 depending on which options you want on your pint-sized tactical targeting tube. 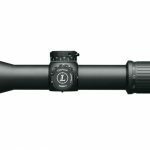 Leupold Mark 6 3-18×44 M5C2: There’s less to talk about when it comes to Leupold’s 2014 Mark 6 3-18x44mm M5C2 tactical riflescope, and tactical shooters should be pleased. 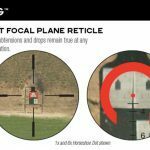 The Oregon-based company managed to shave 20 percent of the riflescopes weight and 20 percent of the riflescopes size while still maintaining its legendary world-class optical quality and precision repeatability. 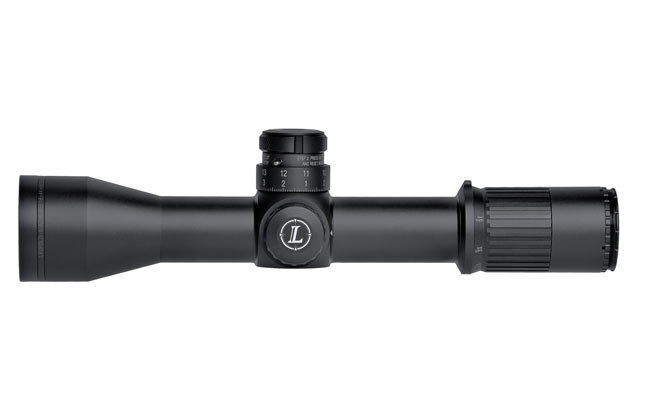 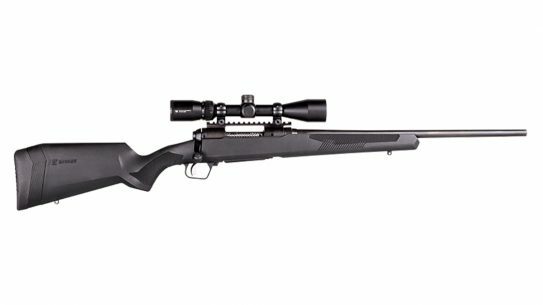 The C2 version of this riflescope differs from the B2 version in that it offers Leupold’s Zerolock elevation dial which automatically locks at the zero position and gives 20 Mils of elevation in just two turns of the dial. 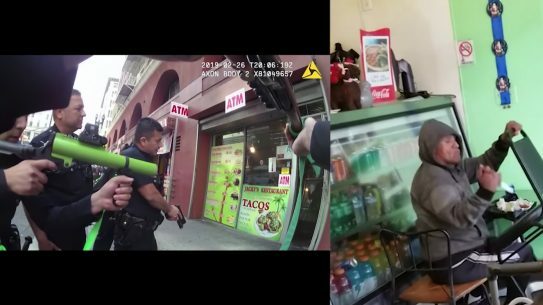 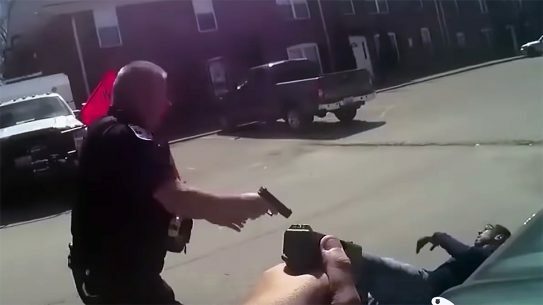 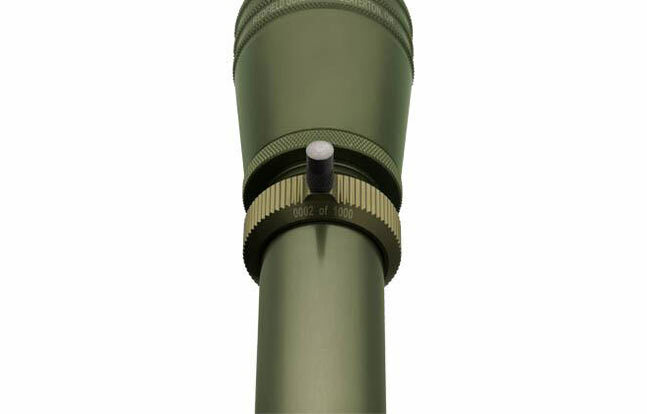 MSRP ranges between $2999.99 to $5499.99 depending on which options you want on your pint-sized tactical targeting tube. 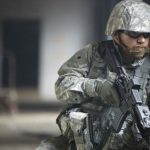 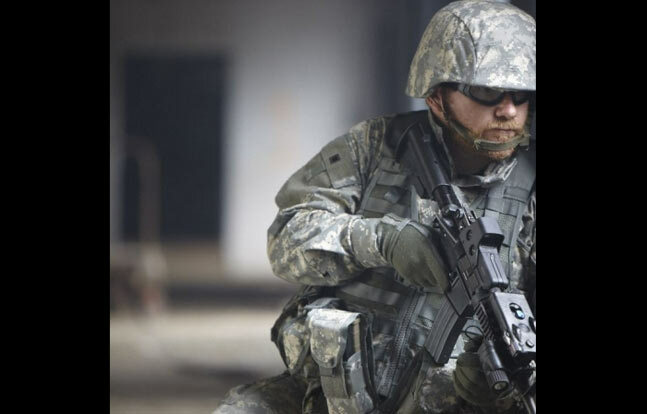 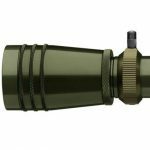 Exelis Night Enforcer Fusion: Exelis saw the need for a fused optic and created the Night Enforcer Fusion for the U.S. Army. 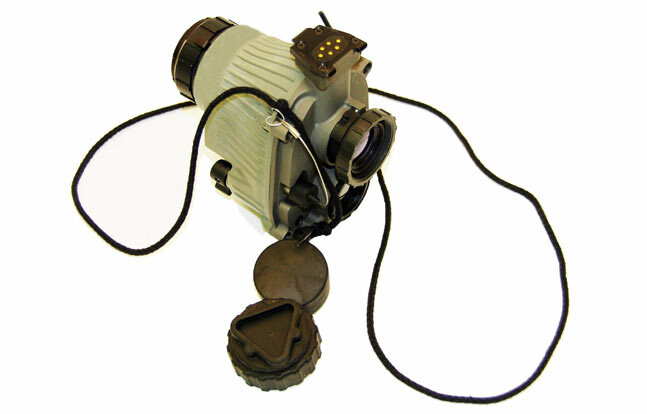 Once their contractual obligations were met with the U.S. Army, Exelis saw the need for domestic non-military use so they directed the Night Enforcer Fusion which combines the qualities of light-intensified optical technology and infrared micro-bolometer technology into one compact monocular to give its users twice the visuals in situations where conventional human eye operability needs some technology-enhanced capabilities. 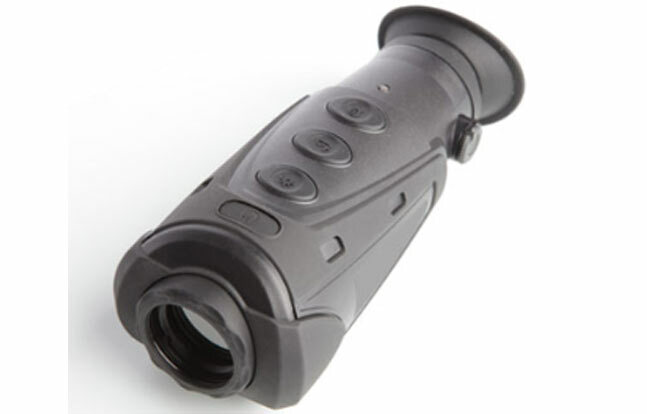 It uses three “AA” batteries with a Generation 3 image intensifier. 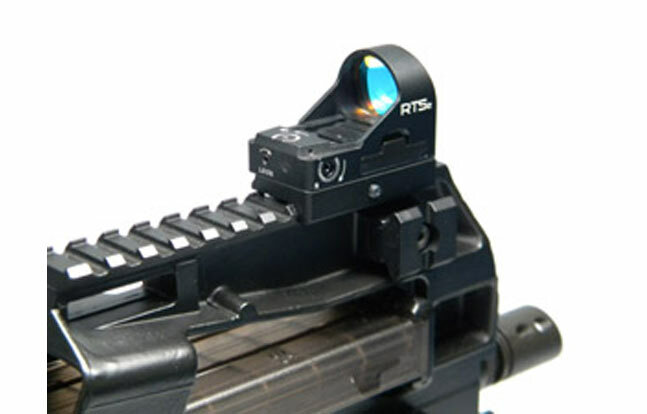 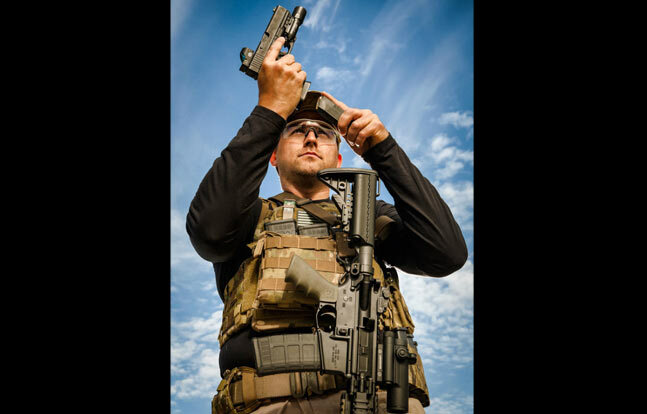 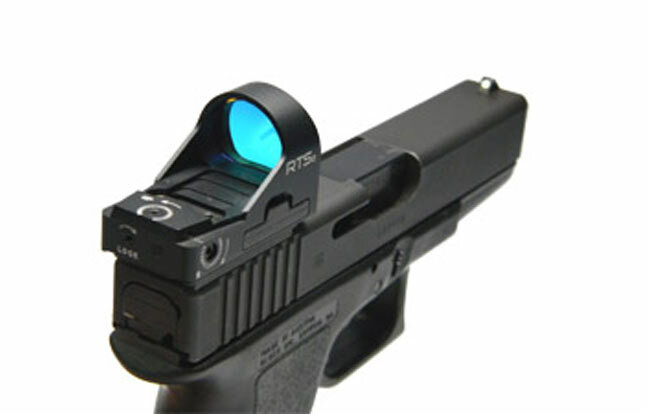 C-MORE Systems RTS2: Virginia-based company C-MORE Systems introduced the RTS2 red dot sight with a 10 position, push button, manually operated intensity switch with previous intensity return and auto off. 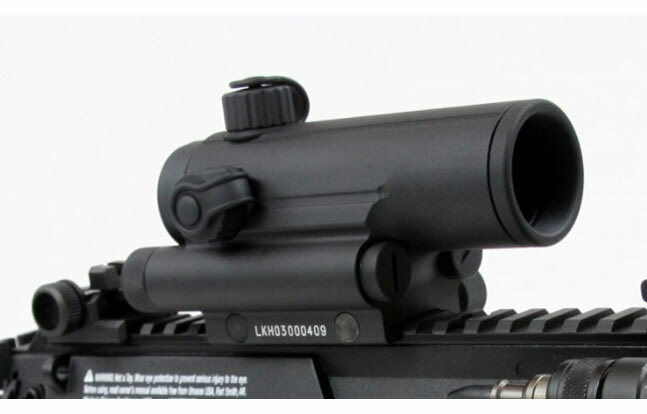 MSRP: $419. 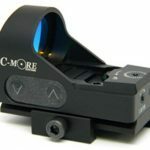 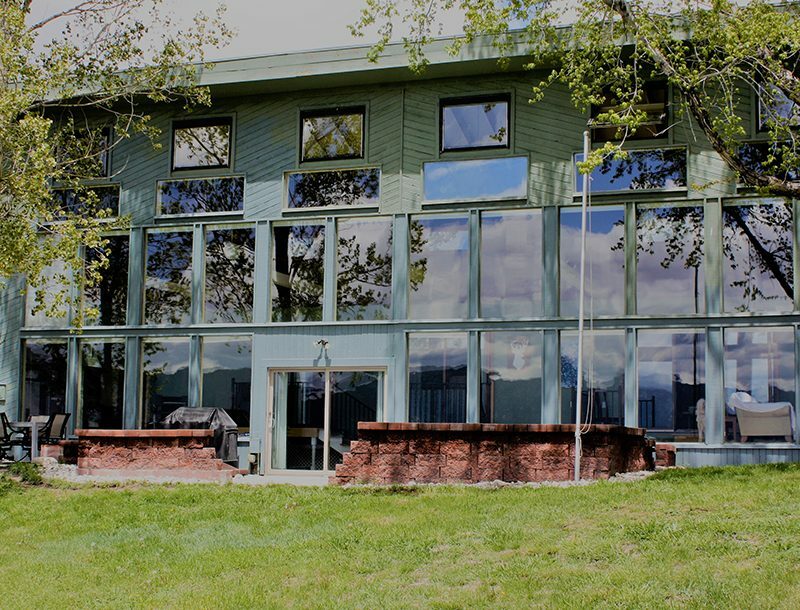 Contact 540-347-4683, email service@cmore.com. 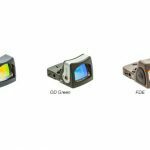 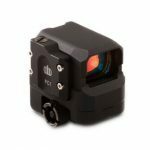 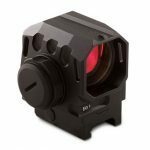 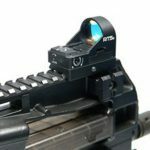 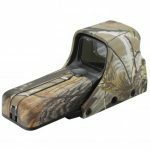 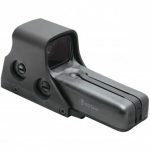 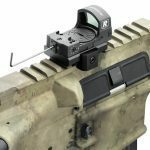 Di Optical USA EG1 Eagle Series Prism Gunsight: Manufactured in South Korea, Di Optical USA is bringing the EG1 Eagle Series parallax free prism gunsight to the U.S. market. 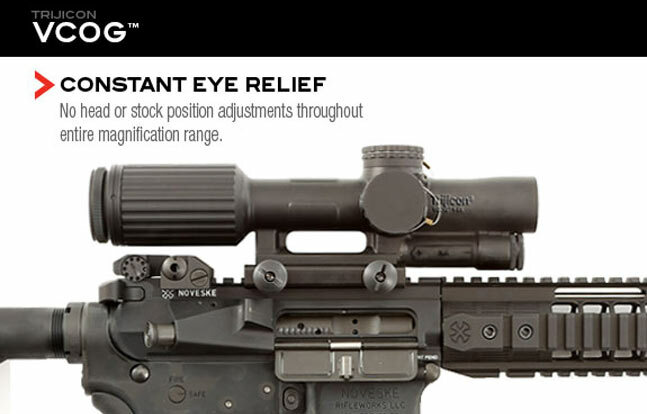 Built to exceed MIL-STD 810G, the sight is at home on an AR platform with a 30mm lens, 2.5 MOA red dot, manual rotary switches and a true 1x magnification. 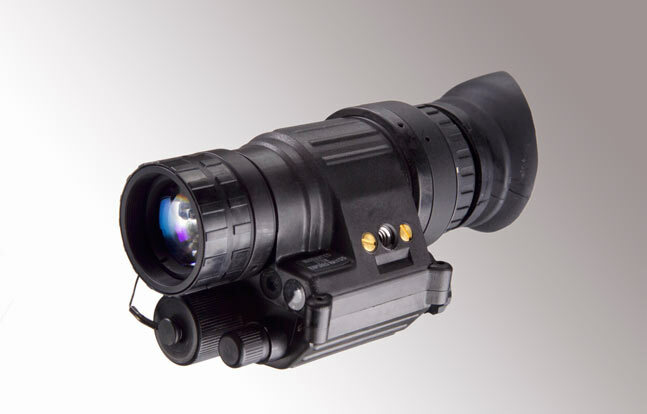 The optical sight is also submersible up to 30 feet. 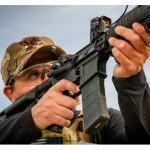 MSRP: $350. 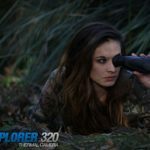 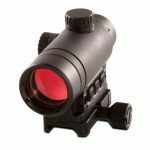 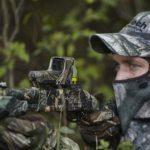 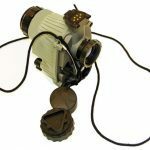 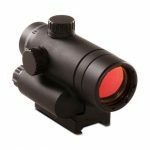 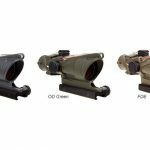 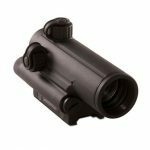 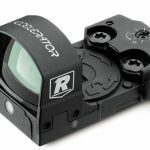 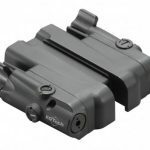 WATERPROOF: Submersible to 30 ft.
Di Optical USA FC1 Falcon Series Prism Gunsight: Manufactured in South Korea, Di Optical USA is bringing the FC1 Falcon Series parallax free prism gunsight to the U.S. market. 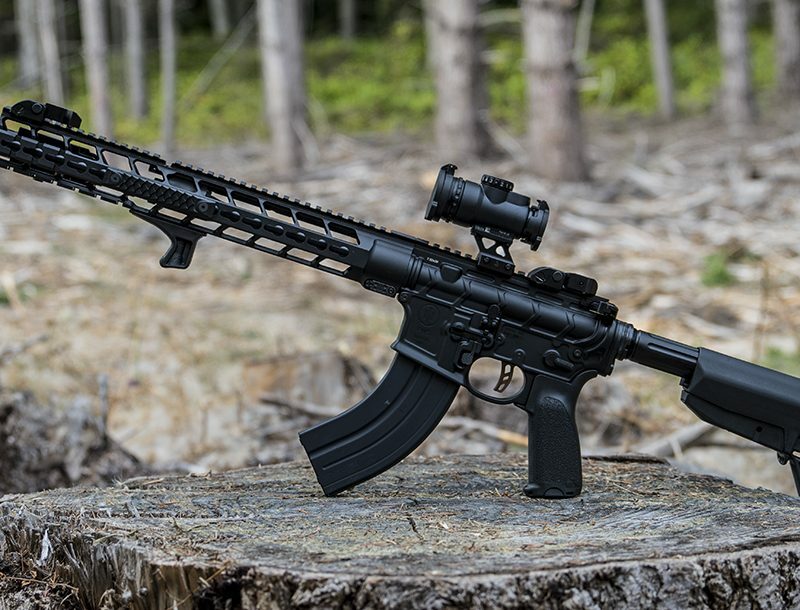 Built to exceed MIL-STD 810G, the sight is at home on an AR platform with a 17x23mm lens, 2.5 MOA red dot, manual rotary switches and a true 1x magnification. 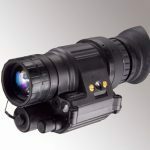 The optical sight is also submersible up to 30 feet. 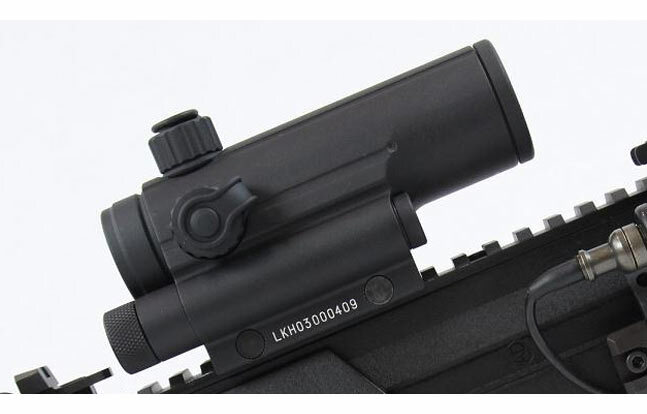 MSRP: $350. 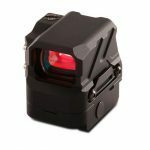 Di Optical USA Raven Series RV1 LED Red Dot: Manufactured in South Korea, Di Optical USA is bringing the Raven Series RV1 LED Red Dot to the U.S. market. 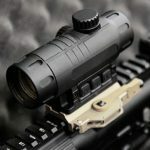 Built to exceed MIL-STD 810G, the sight has a 32mm lens, 11 position LED brightness control rotary switch, is night vision compatible, has windage and elevation adjustments and runs off of a common CR123 battery. 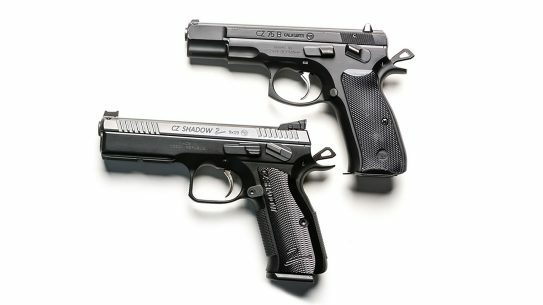 MSRP: $219. 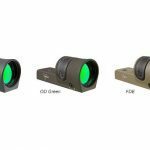 Di Optical USA Raven Series RV2 LED Red Dot: Manufactured in South Korea, Di Optical USA is bringing the Raven Series RV2 LED Red Dot to the U.S. market as a smaller, more rugged option to the RV1 Series. 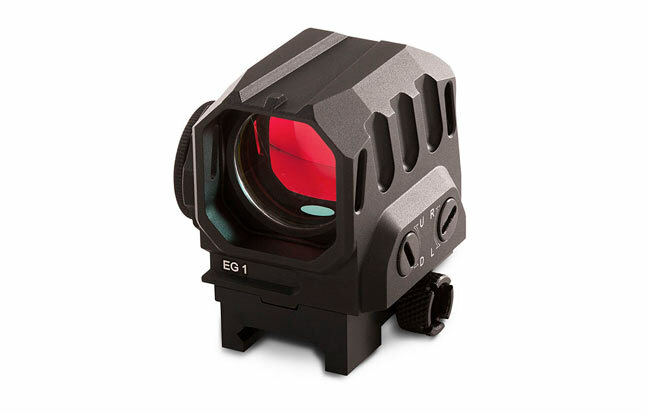 Built to exceed MIL-STD 810G, the sight has a 32mm lens, 14 position LED brightness control rotary switch, is night vision compatible, has windage and elevation adjustments, is submersible to 30 feet, and runs off of a common CR123 battery. 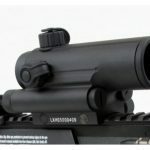 MSRP: $275. 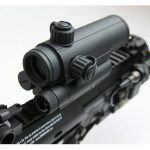 C-MORE Systems X10 Series Riflescope: Virginia based company known for its red dot sights enters the realm of riflescopes with three ten-power optics built with mil-dot reticles. 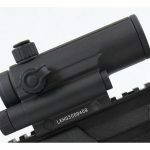 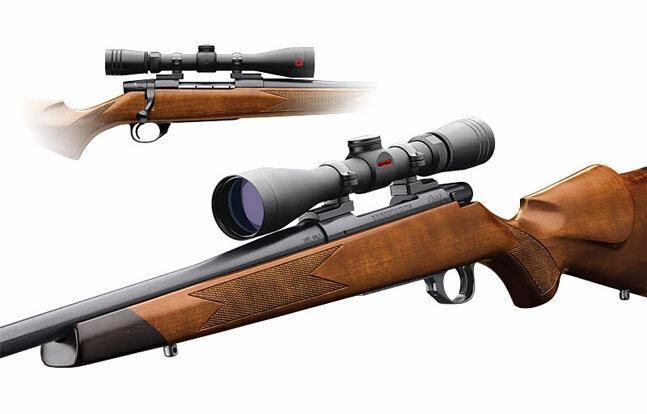 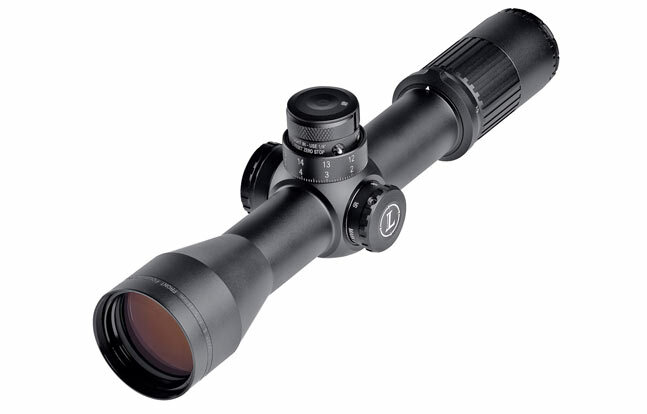 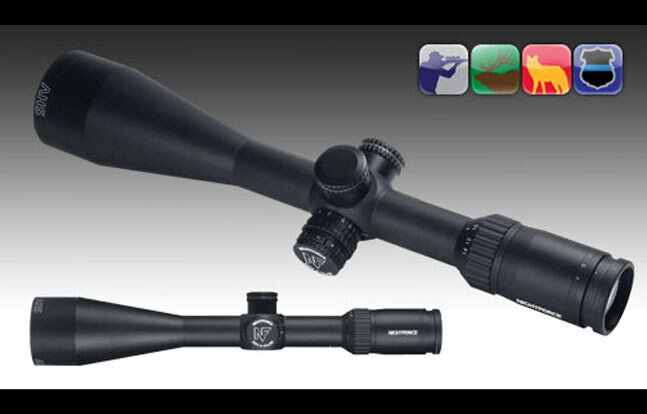 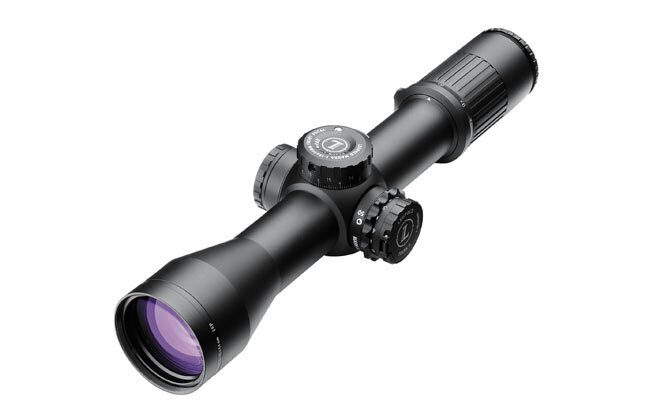 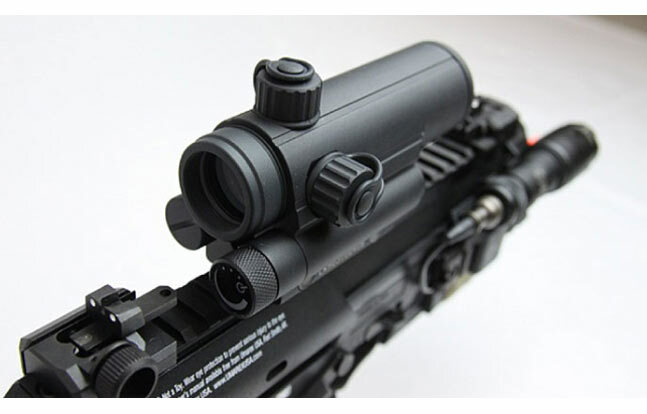 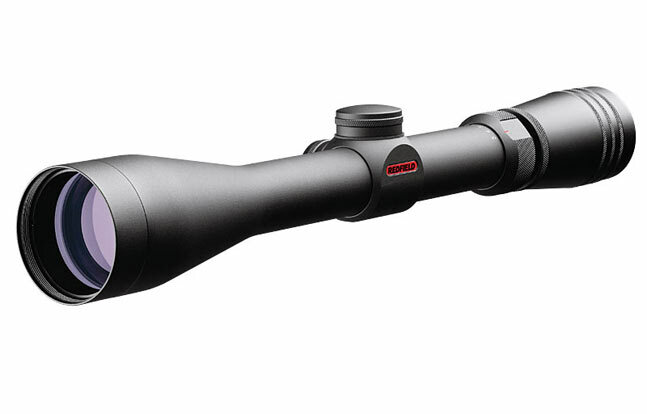 The riflescopes are available in 1-10x24mm, 2-20x44mm, 3-30x56mm. 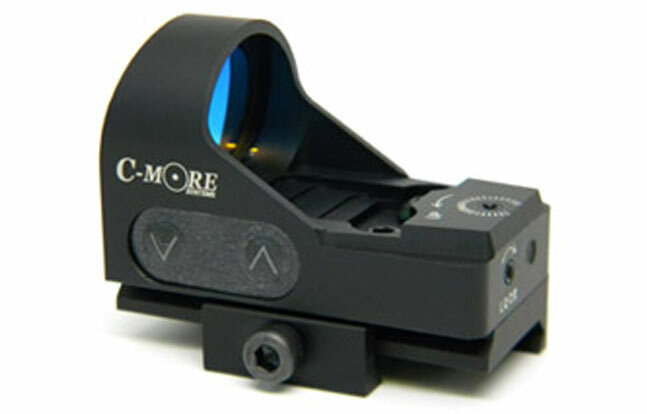 Contact 540-347-4683, email service@cmore.com.